Mother’s Day provides a chance to reflect on the contributions of women to Union and the impact women continue to have on the university’s growth. The Women in Union (WIU) scholarship program is founded on the premise that the best way to lift children out of poverty is to educate their mothers. Research shows that only 16 percent of women who raise their children as single parents have earned a college degree and children in these homes are five times more likely to live below the poverty line. The WIU scholarship has opened the door for more than 40 women to earn college degrees and improve their standard of living. Another program benefitting women is the Maternal Child Health in Human Lactation degree. Union offers a Bachelor of Science with a Major in Maternal Child Health: Human Lactation and a Master of Arts with a Major in Health &Wellness and a Focus on Human Lactation. Not only does Union offer one of the only human lactation degree programs in the country, it is the only university to offer approximately 90% of the coursework online. Careers are available in the medical profession, non-profit and government field. The Graduate Certificate in Women’s & Gender Studies provides graduate-level coursework for those seeking a career in academia, non-profit, government, and corporate tracks. Is also provides a theoretical foundation for dissertations and further research. Union boasts over *11,000 female graduates and a *54% female student population. 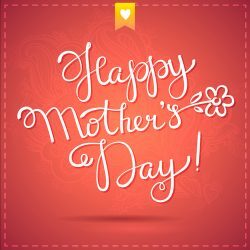 Mother’s Day offers the opportunity to reflect on the integral role women have played in Union Institute & University’s mission of engaging, enlightening, and empowering adult students to pursue a lifetime of learning, service, and social responsibility. Learn more about the mission behind Union Institute & University.